Julie Gichuru,Caroline Mutoko, Wachira Waruru Among Others Land Top Jobs Courtesy Of President Uhuru Kenyatta. The latest round of government jobs being dished out has seen a number of notable celebrated personalities land quite plum jobs in areas where the country’s two most important individuals, President Uhuru and his deputy William Ruto considered ready for a new breathe of life. The political implications are quite obvious as most of these appointments are replacements and not newly created posts. This can be termed a purge of the former regime’s cronies from the system. The appointments made number over 300. Among these is the appointment of Royal Media Services’ Julie Gichuru, Radio Africa’s Caroline Mutoko, and Royal Media Services CEO Wachira Waruru. Wachira Waruru has been appointed to the board of the Kenya Cultural Center where he will be joined by the celebrated thespian Ted Muthusi. 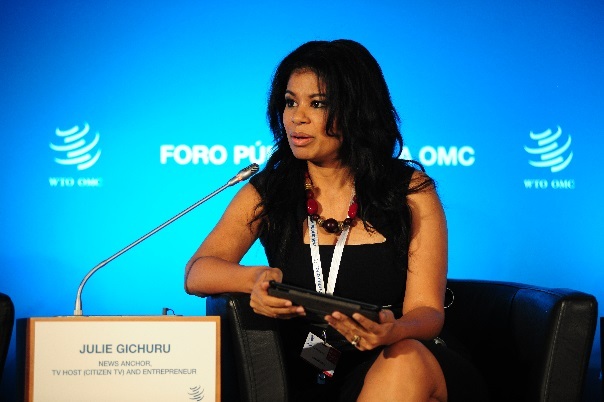 Julie Gichuru and athletics legend Paul Tergat have been named on the board of Brand Kenya. Tergat also gets to serve of the Tourism Finance Corporation board of directors. Caroline Mutoko has been appointed to serve on the board of Kenya Institute of Mass Communication where she will be joined by another media personality Farida Karoney from Citizen TV. Other notable appointees KCB’s CEO Joshua Oigara and Safaricom CEO Bob Collymore have been appointed to the Vision 2030 Delivery Board where they will be joined up with Juliana Rotich the young innovator celebrated for her role in the development of the Ushahidi open source software program.